Although all retail companies are always looking to see how they can increase sales and their customer base most, if not all, would tell you that good customer service is essential in ensuring that existing customers will remain loyal. They will also state that keeping valued customers is a lot easier than attracting new ones which is why excellent customer service has to be placed right at the top of their agenda if you want your company to prosper. Why is Good Customer Service Essential? Good customer service is an essential ingredient in retail because if a customer feels valued, they are more likely to not just stay with you but they will also recommend you to others and the importance of ‘word of mouth’ referrals should never be underestimated by any retail company when it comes to increasing your sales and customer base. In any walk of life, people react to the kind of treatment they receive so if you treat customers badly or show a total disregard for them, they are, at best, going to complain more and, at worst, will simply not bother to complain and take their business elsewhere. However, retail companies should not believe for one minute that this means just the loss of one customer. On the contrary, if a customer decides not to shop with you because your customer service is poor, you can be certain that they’ll also tell their family and friends who will also tell their family and friends and so forth. Therefore, the loss of one actual customer could actually be equated to the loss of, perhaps, several hundred potential customers in reality. It isn’t just customers who benefit from good customer service. Staff, too, will be far more motivated to work for a professional company which prides itself on excellent customer service as it will give them a much deeper sense of job satisfaction knowing that they can come home from work each day knowing that they have helped customers and have been able to resolve issues satisfactorily so that customers will continue to shop with them. 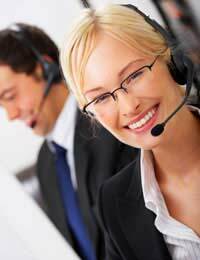 What Are the Main Principles of Good Customer Service? Customers also perceive good customer service in other, more indirect ways. These can include keeping a neat and tidy store where the merchandise is well set out and where it’s easy to find specific items. Accurate pricing is also an important issue. What is important to remember is that people tend to share extremely professional and woefully poor shopping experiences in conversations with their family and friends and therefore, customer service plays a tremendous role in that experience and can have the effect of increasing or decreasing sales quite dramatically. i have been to many stores for shopping. the products are easy for me to find and also the staff are friendly and polite for when help is required. they also come to assist you for any items you are not sure about.